It’s that time of the year again where the sky is a bleary shade of gray and the sound of coughing fills the atmosphere. You may come across people with eyes that are marred in a red tinge, but then you realise that you are just the same. The entire country is filled with people donning white masks and it is due to the fact that we are dazed and confused—no, make that “hazed and confused”. 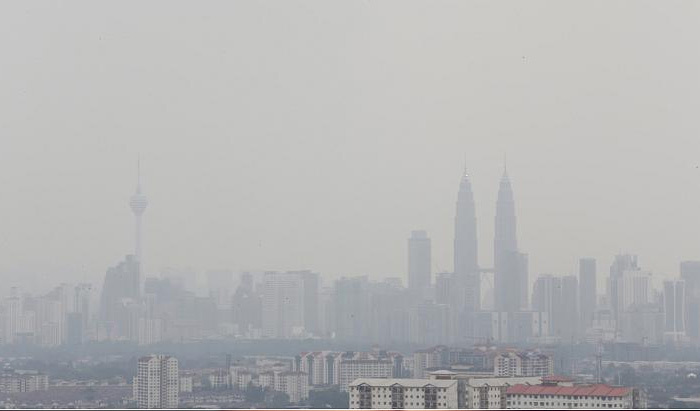 The haze season is officially back and though we are beginning to see brighter skies, it is no secret that we are still feeling the after-effects of the haze. Nobody wants to leave the comfort of their own room where air is as fresh as can be, hence ‘lazy’ and ‘downright upset’ may be the emotions that you are currently experiencing. Oddly enough, one music provider understands your predicament to a tee. 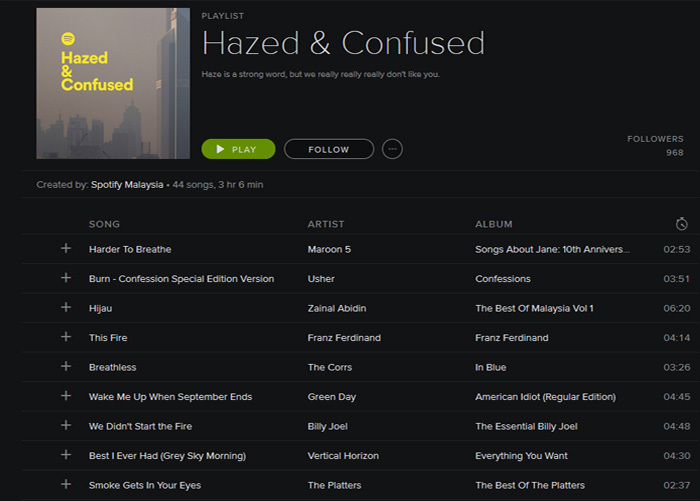 Spotify, the playlist which prides itself on having just the right track for your every mood recently came up with the playlist “Hazed and Confused“, which compiled a whole set of songs to match the emotion every Malaysian and Singaporean must be feeling at the moment where we are facing a situation which literally takes our breath away. 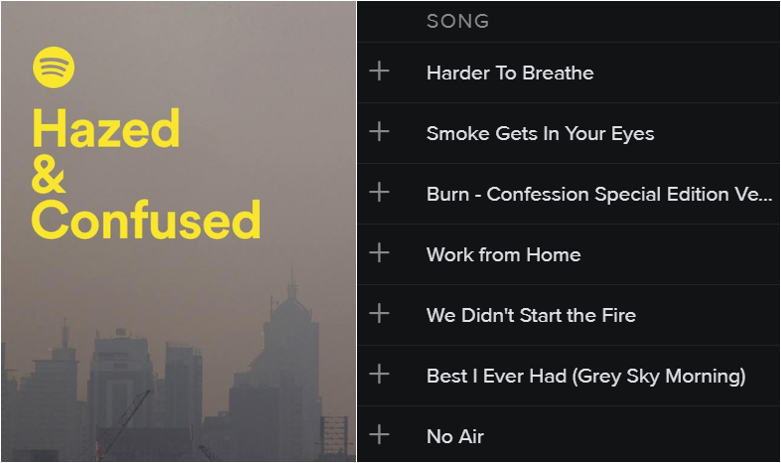 Aptly captioned, “Haze is a strong word, but we really, really, really don’t like you”, the playlist features 44 songs including more recent hits like Bastille’s “Things We Lost In The Fire”, to classics such as Chaka Khan’s “Through The Fire”. 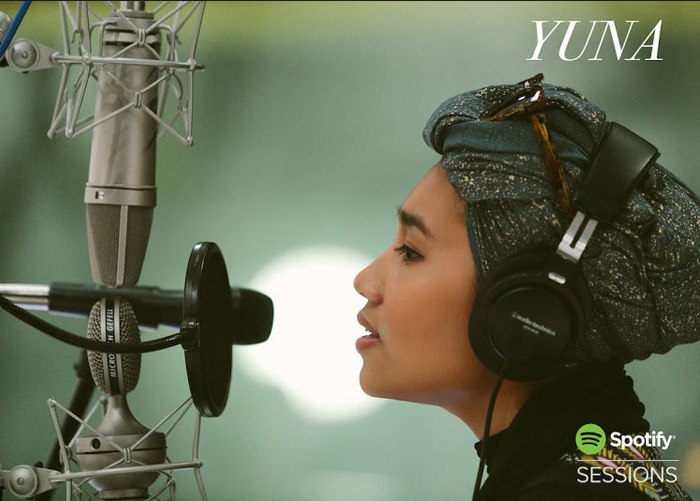 You’ll even find tunes by Malaysian songstress Yuna, and Zainal Abidin’s “Hijau”, because the playlist was after all crafted with Malaysians and Singaporeans in mind. Spotify managed to leverage on a national situation which is inconvenient, and instead utilised music as a platform by which the citizens could relate to. Music is a common ground which does bring people together and in the face of haze, Spotify masterfully created a relatable playlist that became so popular it gained almost 10,000 likes on its Facebook page post, including over 150 shares. 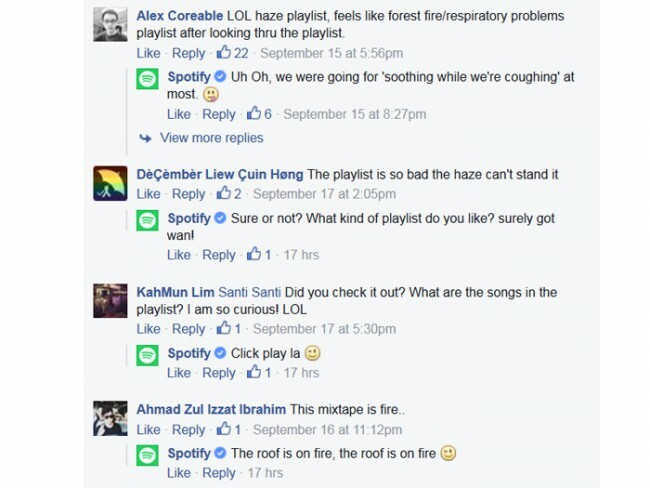 Spotify has always been known to be the one stop portal where Malaysians could listen to their favourite songs but with the “Hazed and Confused” playlist, they have successfully allowed music from diverse genres and artistes to become instantaneously significant to Malaysian music lovers from across ages and musical preferences. It is a wise direction for the company to adapt to a crisis that the nation was facing and to increase their popularity amongst the citizens. 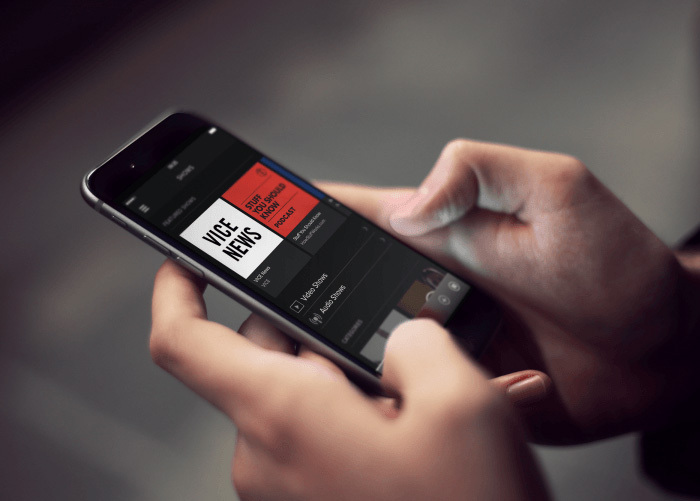 If there was a specific approach to harnessing more views for an online website and to get viral locally, then surely Spotify has paved a smart way for it. With their recent efforts, they managed to branch out locally and to widen their own target audience. Seeing since not everyone is a Spotify user, the viral factor in the playlist helped to reach out to those who may not have otherwise been familiar with the brand. Instead of being just a place where people can listen to their favourite songs, Malaysian users found a way to connect to their music on a whole different level—and isn’t music all about feeling and a sense of connection after all? Emotions are a strong key to a user’s loyalty to a certain brand or product, and by reeling in Malaysians based on their feeling of mutual understanding and concern towards a certain issue or topic that is relevant in the country, Spotify is able to adapt to a situation and to make the best of it. Indeed, this it is not the first time that Spotify has created playlists to suit the mood of a Malaysian. 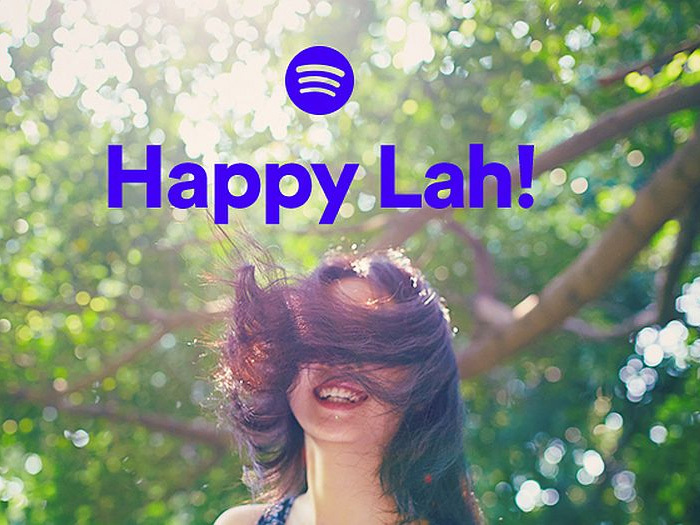 For instance, Happy Lah is a playlist amassing a grand total of 70 tracks, and is a set of songs bound to send its listener skipping around the office all day. What makes the playlist different is the effort in promoting Malaysian songs, such as those by Yuna, OJ Law and Zee Avi. Again, this was a way that the company managed to localise their brand. As Fiqa puts it simply, Spotify had a great strategy to reach consumers that will increase its relevancy and improve marketing effectiveness within the country. She added that it is also paramount to gather sufficient local input. The music provider did just that by understanding their local market and responding to the feedback that they received from their Malaysian fans. Indeed, this is a step up for Spotify Malaysia and we’re looking forward for more relatable playlists from them. Meanwhile, perhaps Maroon 5’s ‘Harder to Breathe’ is a good one to play now from the “Hazed and Confused” playlist while we wait for clear blue skies to return.